If you have ever watched live coverage of a football match, an Olympic event, or a Royal Wedding, then you have watched an outside broadcast. Outside broadcasts use the same kind of television cameras, microphones, and vision and sound mixing equipment as a TV studio. The key operating equipment is installed in a specialist truck (a ‘scanner’ in BBC jargon), and a fleet of outside broadcast vehicles carry everything else: from lights and cameras to cables and rostrums. Creating a live outside broadcast was a complex process involving technical planning, rigging cameras and sound, lining up the cameras, rehearsing and finally the moment of going live itself. The earliest television transmissions came from studios, where cameras and equipment were safe from unpredictable weather conditions. But broadcasters, including the BBC, soon began to experiment with producing television from external locations. Sport coverage soon became a key part of the TV schedule. Outside broadcasts, as they became known in Britain, added variety and immediacy to the television schedule. They also decentralised television. 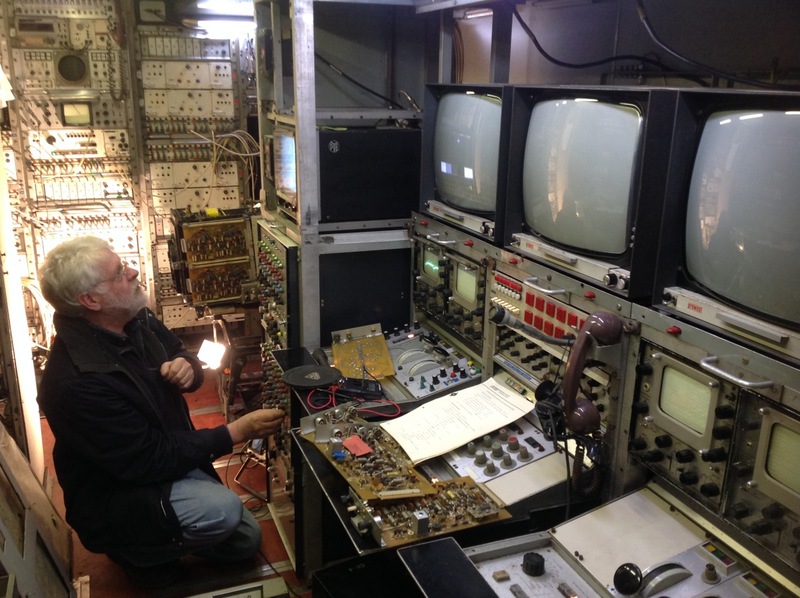 Outside broadcast crews could travel to almost any location in the United Kingdom, reducing the sense that television was a metropolitan industry which sent its programming from major cities to regions and provincial capitals. Outside broadcast technologies allowed a diverse range of light entertainment and sporting events to be transmitted to the nation from almost any corner of Britain. They provided live coverage of some of the nation’s most significant events, from FA Cup Finals to Royal Weddings, from variety shows to live location reports. By the 1960s, outside broadcasts were a staple of the British television schedule, and they were soon to play a central role in one of the most important technical developments since the beginning of the service: the launch of colour television. After a series of experiments and tests, the BBC formally launched its colour service on 1 July 1967 at the Wimbledon tennis championships. Further colour outside broadcasts were mounted using the first generation of colour outside broadcasts trucks, developed in-house by the BBC. 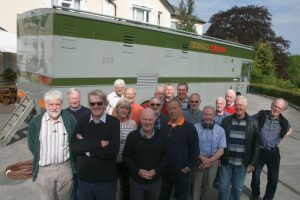 Meanwhile a new generation of BBC outside broadcast trucks, known as the Type 2 Colour Mobile Control Room, was developed by Pye TVT Ltd. Equipped with either Pye PC-80 or EMI 2001 cameras, a single Type 2 truck contained all of the equipment needed to run up to six colour camera channels. Separate compartments inside the truck provided room for vision engineers, sound supervisors, and production staff. 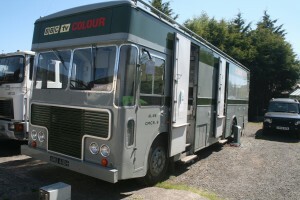 Nine Type 2 CMCRs were constructed, and from 1969 until the early 1980s they travelled the length and breadth of the country as the workhorses of the BBC’s colour outside broadcast service. Eventually, as the technology within them became outdated and worn out, the fleet was scrapped and replaced with updated equipment. Of the original fleet of nine only two of the Type 2 CMCRs survive. One is held by the Science Museum and resides in the museum’s stores at Wroughton Airfield in Wiltshire. The other, CMCR9 (renamed North 3 after it was relocated from London to Manchester) has been restored by retired lighting director and television historian Steve Harris. As Steve Harris’ website explains, North 3 was found in a badly deteriorated condition: impossible to drive, and stripped of much of its equipment. In the years following his acquisition of North 3, Steve spent countless hours restoring the vehicle to roadworthy condition and reuniting the bare racks and desks with the complex electronic equipment. 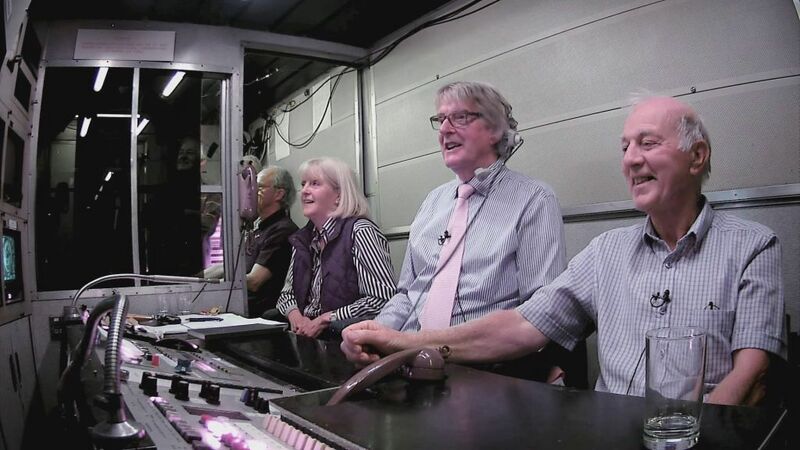 In conjunction with Steve Harris and his colleagues, the ADAPT project was able to reunite a full team of former BBC television production personnel in order to mount an ambitious reenactment of early outside broadcast. 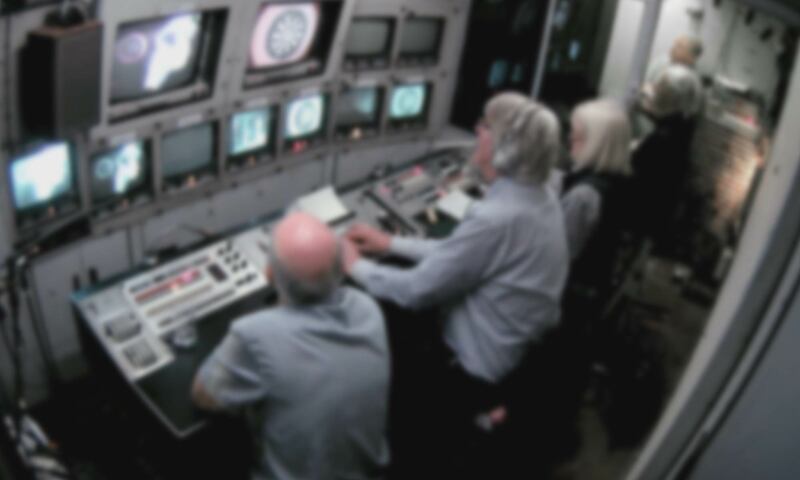 The aim was to provide an opportunity to document the skills and working practices which went into the production of television events during the 1970s. North 3 was driven to a hotel near Steve Harris’s base in Flintshire, where the ex-BBC crew assembled. The crew was challenged to rig and light a set in which a darts contest would take place. EMI 2001 and Pye PC 80 cameras would then film the contest – directed from North 3 by the producer, Geoff Wilson. The project’s digital producer, Amanda Murphy, has written about the hard work required to assemble the veteran team and get North 3 ready for live production. Thanks to the hard work of the restoration team and veteran crew, the reenactment was a success. The ADAPT team was able to film hours of footage cover the entire outside broadcast production process, from rigging to broadcast. This is as close as we can get to recreating the complicated activity of producing live TV using analogue equipment. Learn more about the careers and experience of the veteran production staff who collaborated with the project by reading the Crew Profiles.